Managing the accounting for a dental practice requires considerable time and effort. Dentists who want to center their attention on patient care turn to Bay Area, CA Accountant, Chahal & Associates, Inc.. We provide dental practice accounting, bookkeeping, and tax services that are custom-made for oral healthcare providers. 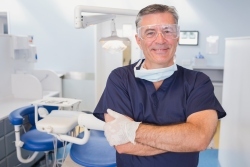 At Chahal & Associates, Inc., our accounting solutions work for all types of dental professionals including orthodontists, oral surgeons, and periodontists. We’ll keep your finances organized and accurate and deliver measurable results that show up in your bottom line. With our assistance, you’ll easily monitor cash flow and precisely track expenses so your practice runs smoothly and maximises profits. To learn more about our tax services for dentists, please visit our dental accounting website. To learn more about our dental practice accounting services and tax strategies, call us now at 510-222-5800 or request a free initial consultation through our website.